With index to New Testament and glossary of Hebrew, Aramaic, and Greek names. General title within woodcut architectural border. Three parts in one. Browned. Later mottled calf with gilt spine, extremities chipped. Lg. 8vo. Adams B1069. 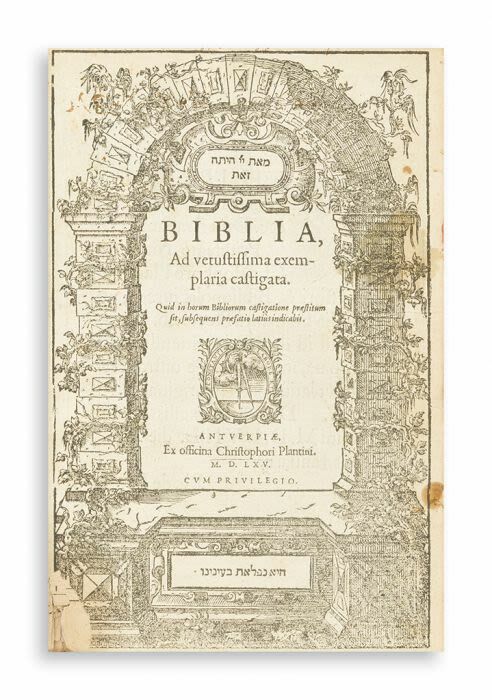 Plantin edition of the Louvain Vulgate.